The mill of the Pave is a former flour mill supplied with water from the village canal. The origin of this mill dates back to the fourteenth century. The word Pave originated from the Catalan word "pawa" which means "pause" The path to the mill was steep and difficult to access for the peasants who came up from the plain to grind their wheat. Arriving tired, they were grateful for the rest in this pleasant, cool, flat place. In order to transform their cereals, which they produced in the fields, into flour, the inhabitants had the use of 5 mills (Including this one, two near the Côte de la Place in the center of the town and another, in ruins, near the Caranques). The mill had a horizontal wheel at the base, which was powered by water, to which was attached a vertical shaft that turned the wheel that crushed the grains. For information, oil mills have a vertical wheel. 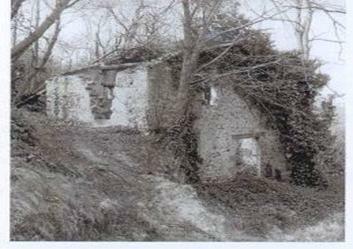 The Mill of the Pave continued to operate until the end of the nineteenth century. It was inhabited until 1942 and then fell into ruins. Later it became a village property and was restored in 2006 by volunteers of the Laroque Heritage Association in partnership with the municipality. A new roof strengthened the building and prevented further leaks. The ground floor where the miller lived and the first floor are now fully restored. A millstone is now being sought in order to fully complete the restoration project.